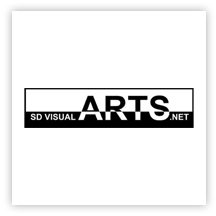 Each year, in partnership with The Studio Door and San Diego Visual Arts Network, we award one emerging artist a scholarship called “The Business of Art Scholarship.” Congratulations ro our 2019 recipient, Molly Paulick. Molly Paulick was born and raised in Irvine, California and graduated with a Bachelors of Art in Studio Art with an emphasis in Painting and Drawing from Azusa Pacific University in 2010. She currently resides in San Diego. 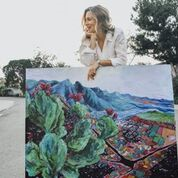 She was born and raised in Irvine, California and graduated with a Bachelors of Art in Studio Art with an emphasis in Painting and Drawing from Azusa Pacific University in 2010. She currently resides in San Diego. 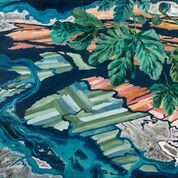 Molly’s acrylic collage paintings combine the micro and macro perspectives of a landscape through aerial photography and local plant life. By engaging in both the natural and man-made beauty that surrounds her, she explores the healing power of paying attention in a world full of distraction. The scholarship program affords one emerging artist the opportunity to be mentored by Patric Stillman in all business aspects of fine art, from marketing to pricing to creating a display. When you visit the festival, be sure to say hello to Molly in tent # 621.